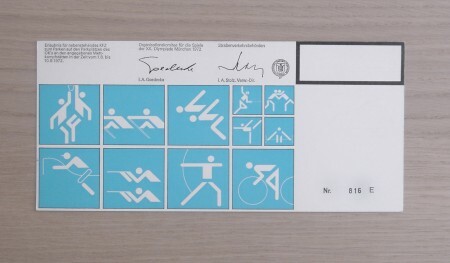 Alphanumeric has a great set of Otl Aicher work including these artifacts from the 1972 Munich Olympics. As much as I love the posters from Munich, there’s something about the official stuff (tickets, badges, etc.) that might be even more fun to look at. I love how they combine form with function and you can never go wrong with serial numbers. It’s amazing to think that people defiled that beautiful luggage tag with their names and addresses. I guess that’s what makes these all the more interesting, the fact that most were destroyed by being used for their intended purpose. Wow! These are absolutely great! 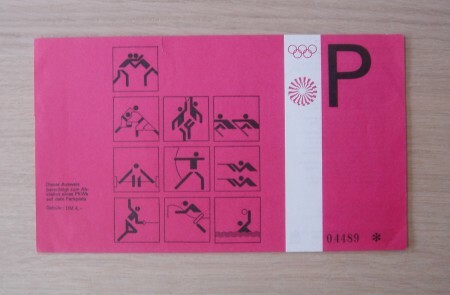 This is and will probably always be my favorite Olympics year that and 1968. 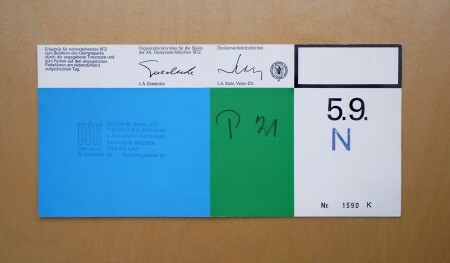 I totally agree with you about the address’s and serial numbers…they add so much character and give life to the tags. I would love to have a collection of these. defiled? 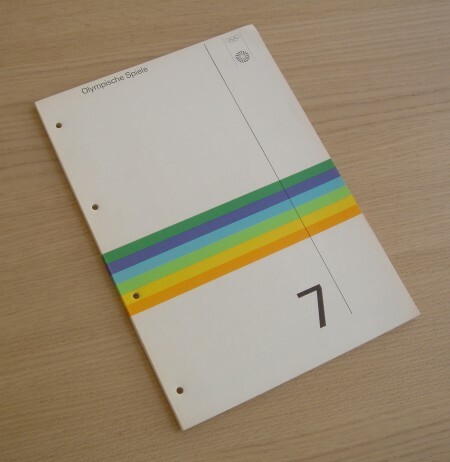 wouldnt it be a cool book of a whole series of people that used these from those games. all tattered, used, written on: bookended between pristine copies. a book like that could only be pulled off by like phadion! There’s a great display at the SF MOMA with his posters and tickets. been meaning to go see that a SF MOMA as well but haven’t had a chance yet…looks so good though. Great show on Friday! I was glad I could be there, hope to see you come through Chicago again. 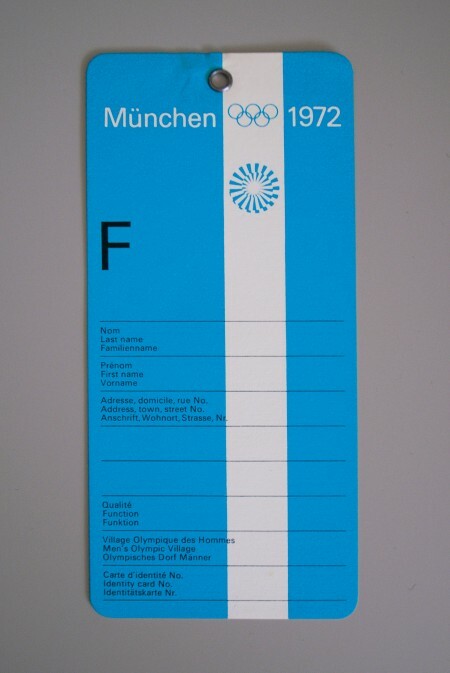 The Munich Olympics defiantly seem to be the best put together Olympics, all the way from Frei Otto’s stadium and swimming center down to the luggage tags and event tickets picture above. Much better than the unfortunate Bird’s Nest and Water Cube from the Beijing Olympics and some other even less memorable Olympics since Munich. I agree with sean. Loving the signature styles!